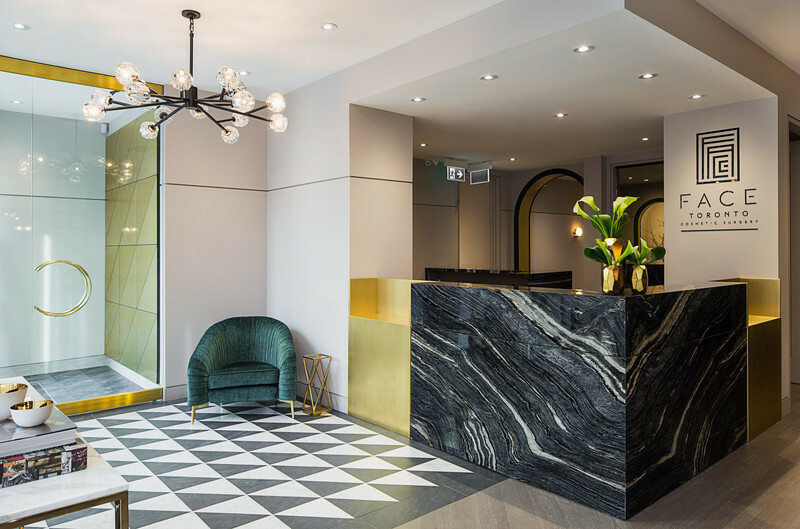 When one of Canada’s leading plastic surgeons, Dr. Jamil Asaria (a married, father of three), selected Audax to oversee the design of his new home, he had never contemplated Audax’s bold proposal that the home be built above his plastic surgery clinic. 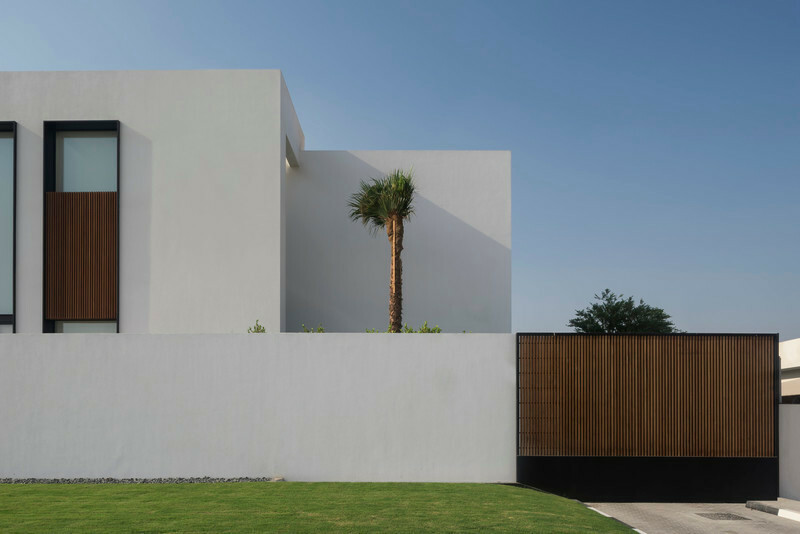 However, Dr. Asaria and his wife immediately appreciated the unique opportunity presented by Audax, and enthusiastically accepted the proposal to convert the second floor into a living space. 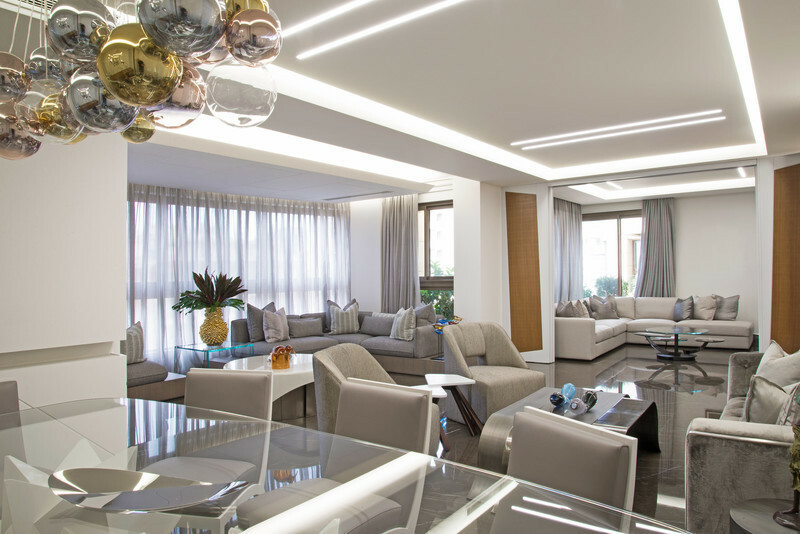 Influenced by Milanese design, the interior features a luxurious open concept layout in the 4200 square-foot space. All the comforts of a traditional family house are enjoyed on the single-floor family home, including a formal foyer & dining room, an open concept kitchen & living room, a (tucked away) butler’s kitchen, four bedrooms, three washrooms, and an outdoor patio. The homeowners also enjoy a private entrance and an elevator with direct access to their clinic below. 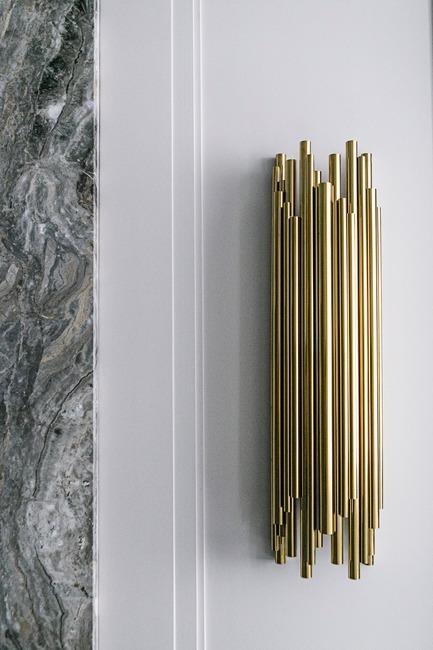 The design includes a rich palette of materials, including brass, marble, walnut, and plush textiles. 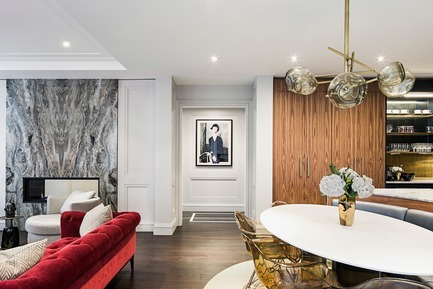 Audax’s very own custom Donatello Console is featured in the formal dining room along with rialto navy Jonathan Adler dining-room chairs and a rosewood dining room table. The living room features a double-sided fireplace with marble mantle together with Restoration Hardware sofas and chairs, and custom-made cushions. 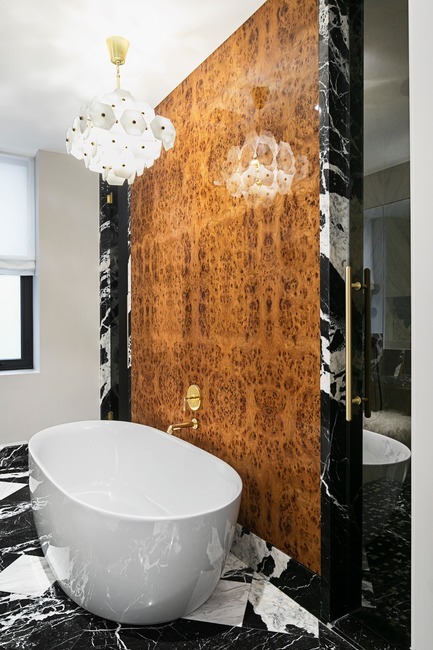 The powder room includes a gold umbrella hex tile coupled with a textured gold wallpaper and custom fabricated marble vanity. 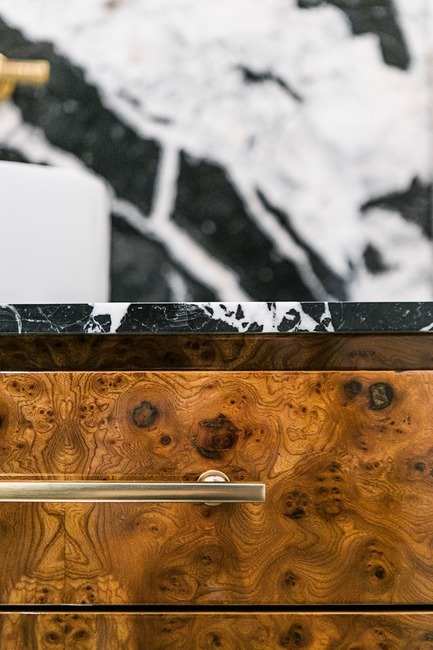 The dramatic master ensuite showcases a striking burled elm wood wall in a high gloss piano finish with Grand Antique black marble. 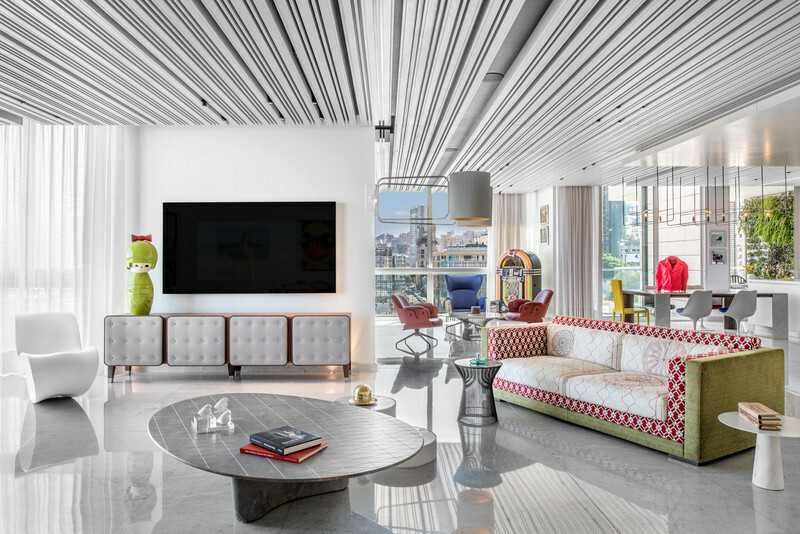 The design of each space is unique and luxurious, and features a mix of traditional and modern elements. 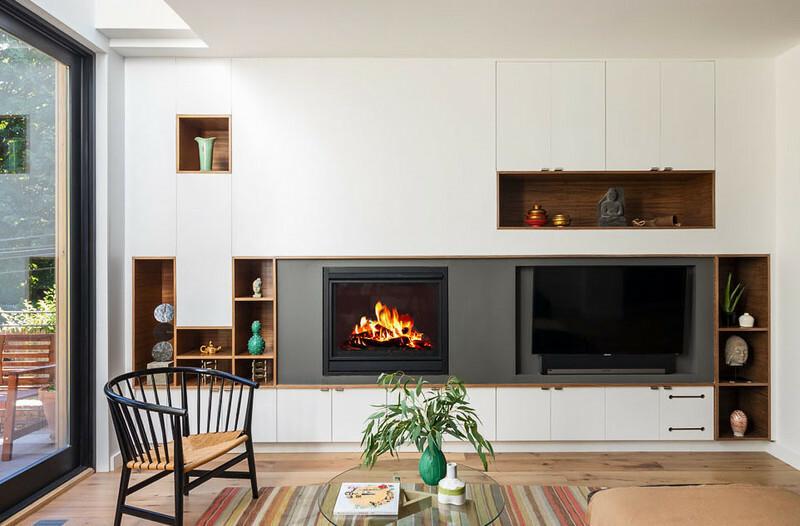 The traditional wall paneling is set against a contemporary-styled walnut kitchen and integrated breakfast banquette. The master bedroom includes a modern take on a traditional Italian tapestry with the use of Armani Casa wallpaper on the bed wall against a shagreen headboard and nightstands from Restoration Hardware. 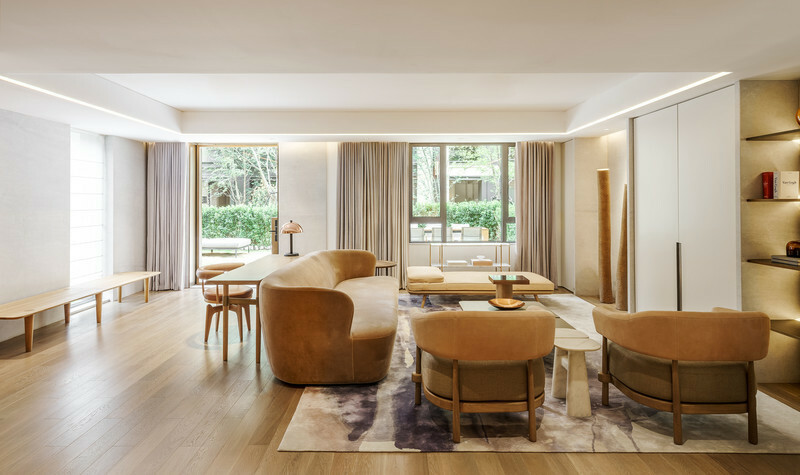 Leading all architectural and interior design activities at Audax, Gianpiero has a Master of Architecture from Harvard University and a Bachelor of Arts in Architecture from the University of California, Berkeley. He also studied design at the Venice Institute of Architecture in Italy. 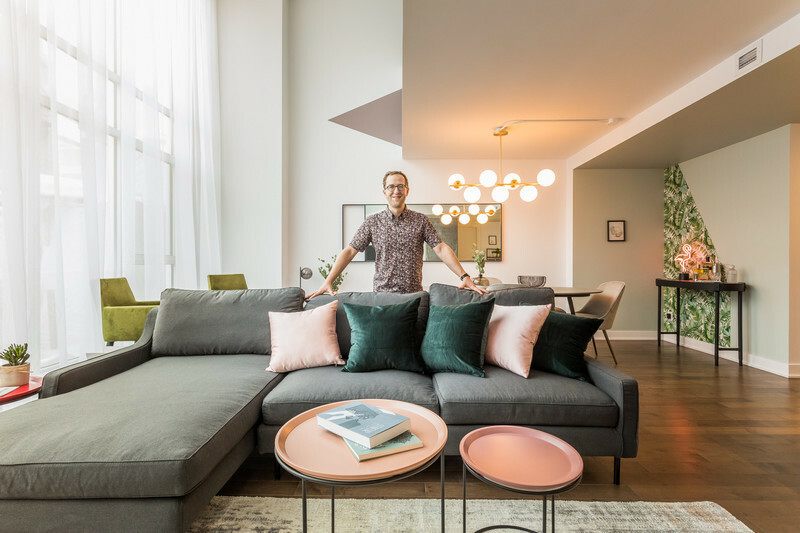 Prior to founding Audax, Gianpiero worked as a project architect responsible for the design of numerous large scale, mixed-use developments throughout North America. 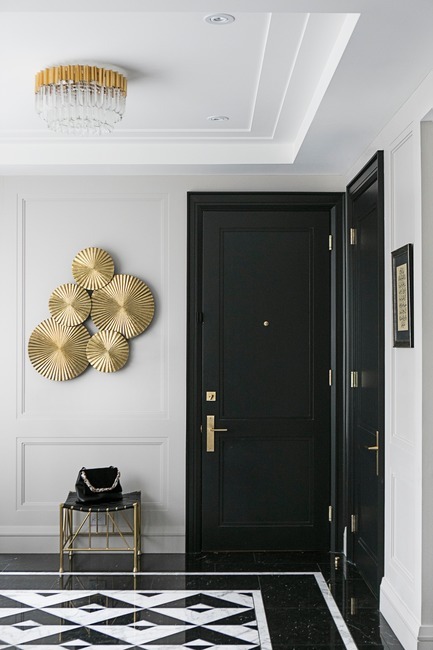 Foyer: Nero Marquina and Bianco Crism custom floor. 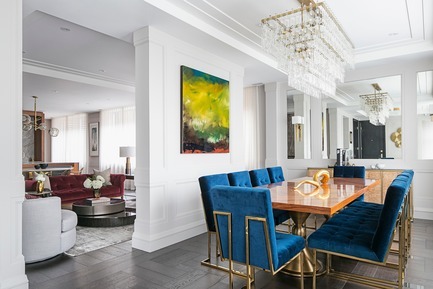 Dining Room: Jonathan Adler rialto navy chairs with brass frames and polished rosewood dining room table with antique brass base. 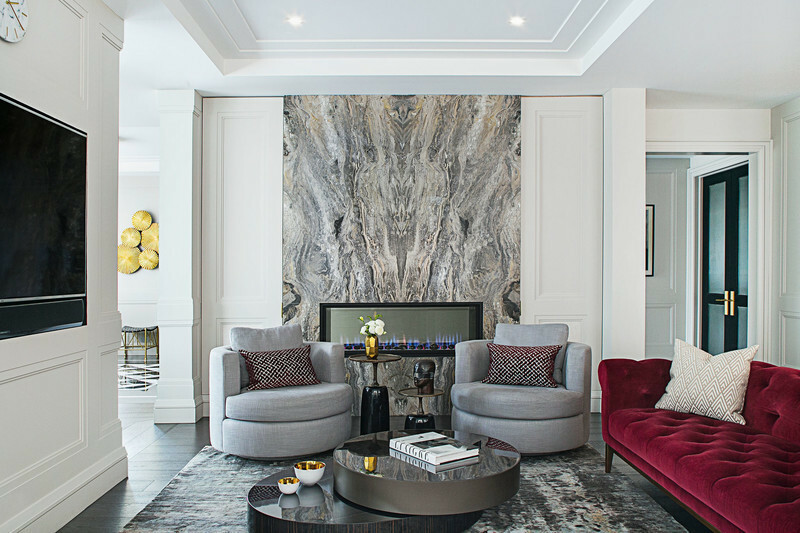 Restoration Hardware chandelier with Audax custom-designed Donatello console. 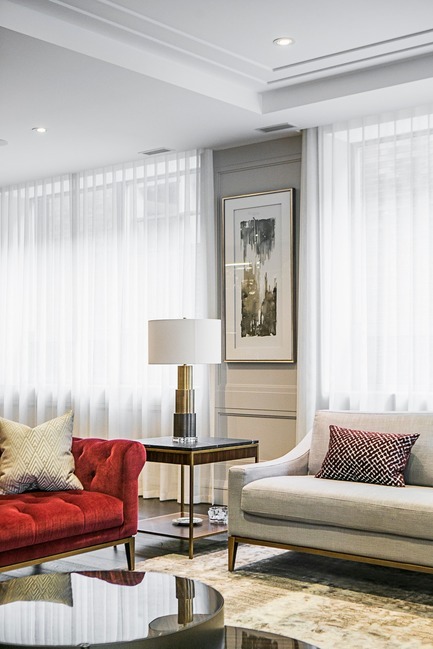 Main Living Room: Restoration Hardware swivel chairs and tufted red sofa with custom-made pillows. 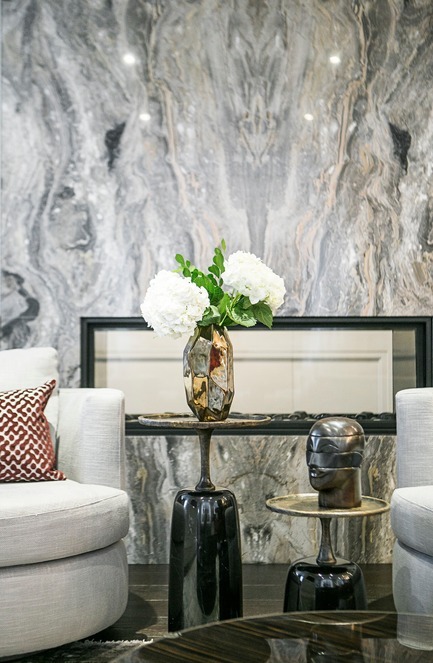 Book-matched polished marble (Silver Galaxy) fireplace mantle. Minotti coffee table. 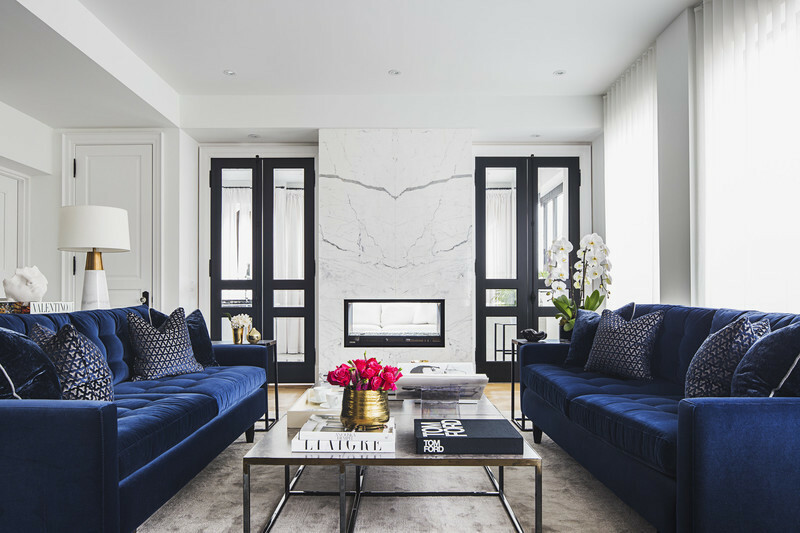 Main Living Room: Restoration Hardware tufted red sofa and love seat with custom-made pillows. 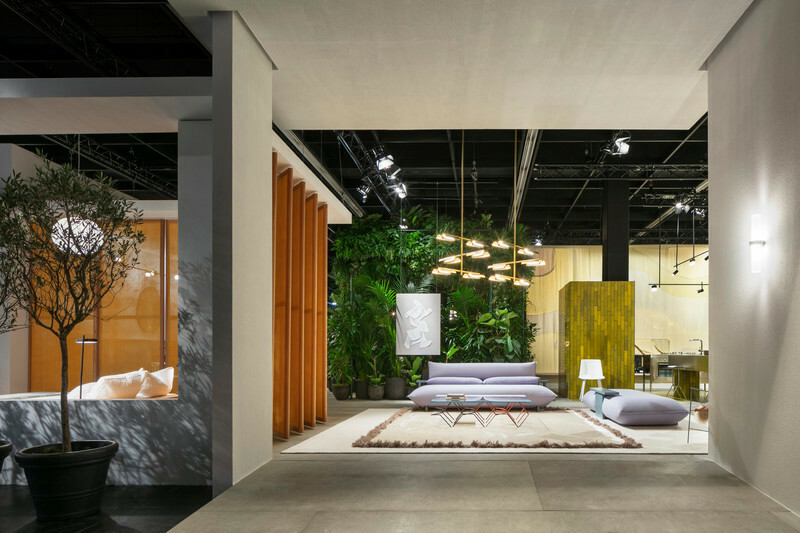 Minotti Coffee Table. 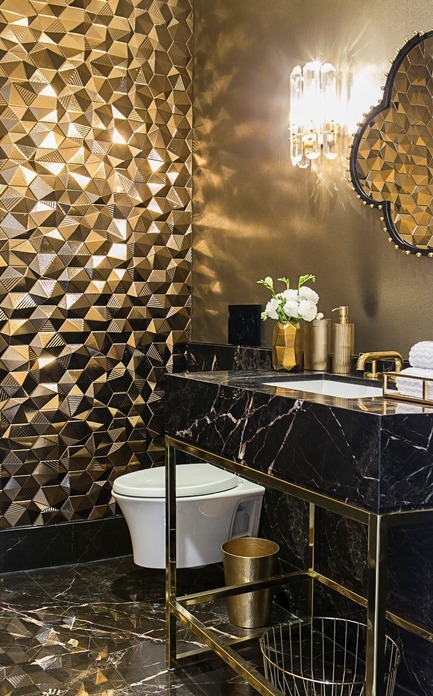 Powder Room: Gold Umbrella Hex wall tile with Noir Saint-Laurent custom vanity and brass plumbing fixtures. Living and Breakfast Area: Open Concept Space. 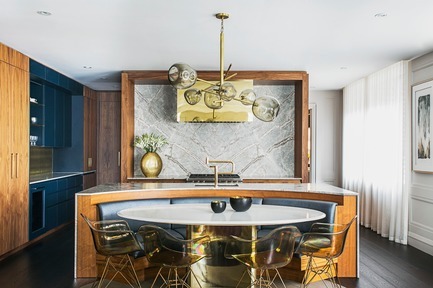 Kitchen: Book-matched Fior di Pesco marble back-splash with an integrated island breakfast banquette. Kitchen: Subzero stove with a polished brass hood. Fior di Pesco Marble. 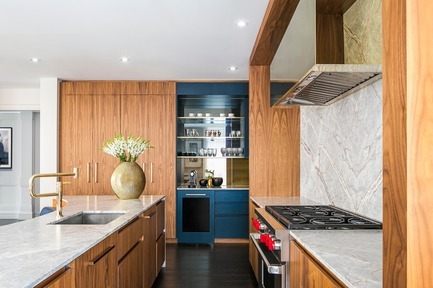 Walnut and blue laminate cabinetry. 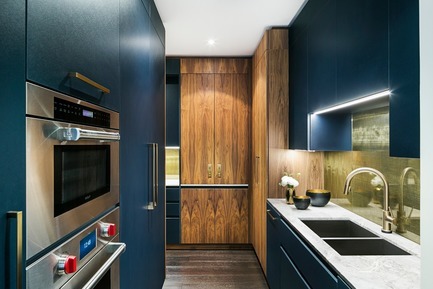 Butler's Pantry: Blue laminate cabinetry accented by a walnut appliance garage. 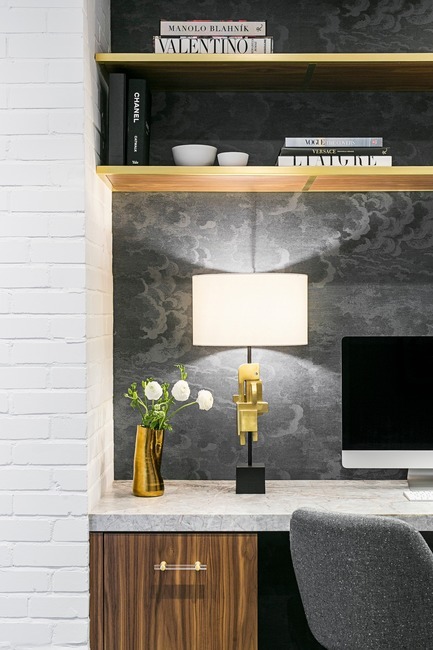 Office: Nuvolette Wallpaper by Fornasetti, walnut millwork and leathered marble desk. 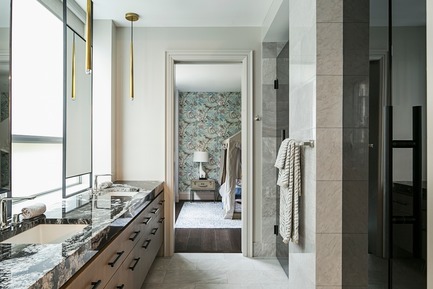 Master Ensuite: Burled elm wood wall in a high gloss piano finish with Grand Antique black marble. 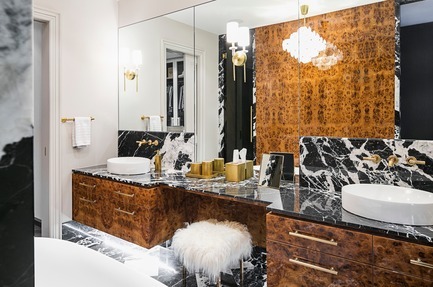 Master Ensuite: Grand Antique black marble double vanity with brass fixtures. 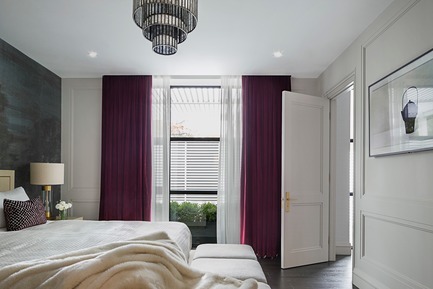 Master Bedroom: Armani Casa wallpaper with Bordeaux red drapes. Master Bedroom: Armani Casa wallpaper, Restoration Hardware shagreen nightstand and bed. Walk-in Closet: Custom walk-in closet with center island jewelry display and satin finish brass handles. Children's Bathroom: Jack and Jill ensuite with white oak vanity. 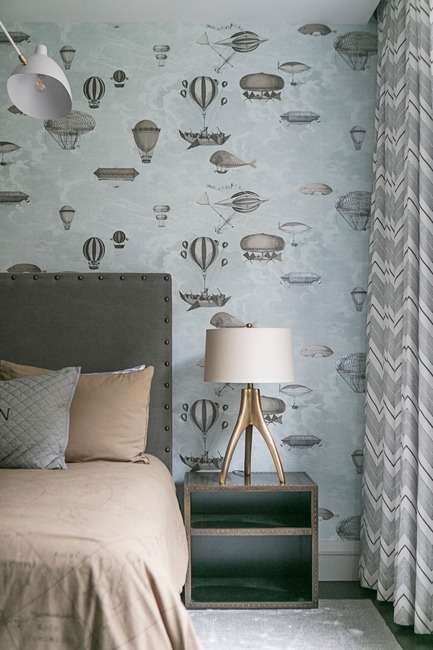 Children's Bedroom: Fornasetti wallpaper by Cole and Son.